UCLA biologists have developed an intervention that serves as a cellular time machine—turning back the clock on a key component of aging. 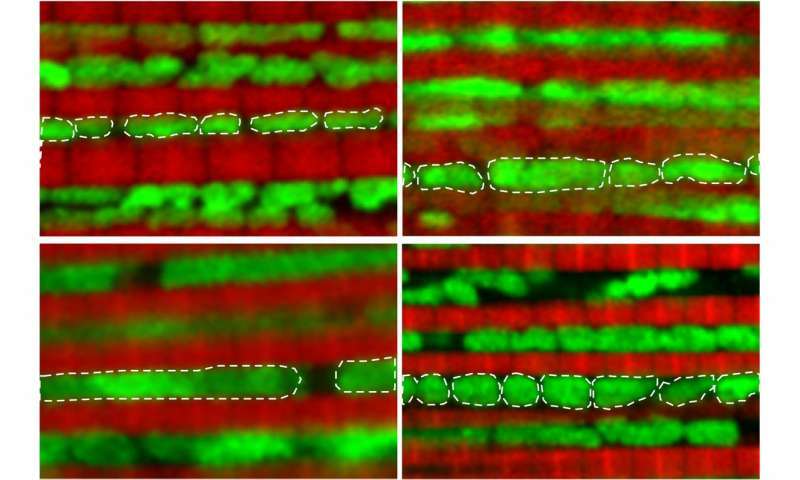 In the new research, Walker and his colleagues found that as fruit flies reach middle age—about one month into their two-month lifespan—their mitochondria change from their original small, round shape. The study, published Sept. 6 in the journal Nature Communications, reports that the UCLA scientists removed the damaged mitochondria by breaking up enlarged mitochondria into smaller pieces—and that when they did, the flies became more active and more energetic and had more endurance. Following the treatment, female flies lived 20 percent longer than their typical lifespan, while males lived 12 percent longer, on average.